Around the holidays, I find canned pineapple on sale at several stores in my area. I try to pick up a few cans at this time. On Black Friday, my girls and I made a stop at the local drug store, where we found 20-oz cans for 99 cents. I may find a better price, as we get closer to Christmas. At the very least, I should be able to find about this same price, perhaps with a limit. So, I can get more, if I want. Knowing this, on Friday, I limited my purchase to 10 cans. As I open each can, I strain off the liquid, and save this in a glass jar in the fridge, to use later. Canned pineapple juice can be used in sweet and sour dishes, as part of a teriyaki marinade for meat, or, my favorite, as a beverage. I make orange-pineapple juice, combining the salvaged pineapple liquid with orange juice. I get a kick out of the knowledge that my family thinks this is one of those "festive" treats that I provide for Christmas and New Year's morning. When what I'm really doing is salvaging something that others might just throw away. 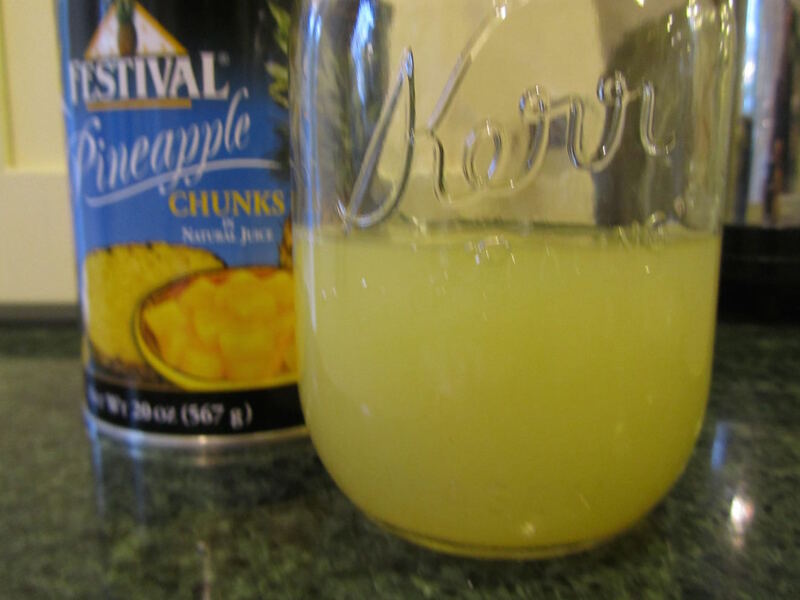 Pineapple juice can be stored in the refrigerator in a glass jar for up to 7 days. If I don't think we'll use it within 7 days, then I freeze it. Stored in the freezer, canned pineapple juice will be at it's best for drinking, if used within about 2 months, but I've used it in marinades 6 to 9 months after putting it into the freezer, with no issues other than some frost in the container. Some throw that juice away??!!?? I can't imagine! Hard to believe, isn't it, Carol? Ha ha. Is this one of those things that you would have to hide if you wanted to save it for making orange-pineapple juice? I bet it would make great popsicles in summer! I saw canned pineapple in 15 oz cans (Libby) at Dollar Tree over the weekend. So, hopefully your dollar store will also have some. The juice is a lovely freebie. I hope your day is off to a wonderful start, Sara! I save the juice from canned pineapple as well. Well, I save it, or someone drinks it right away. It is definitely never wasted! I love orange pineapple juice! When I was a teenager, I think Dole, or maybe Tropicana, made 100% juice blends that were sold in cartons in the orange juice section. There was strawberry orange banana, orange pineapple banana, and orange pineapple. My sister and I loved these! My mom used to buy a carton for special weekend breakfasts. I haven't seen those sold in years. Now, I'm thinking I should save some pineapple juice for pineapple orange juice. Yum! I'm wondering if you know anything about how to use raw sugar? My husband had a 50 lb bag of raw sugar on his truck that had a small hole in it, so the store refused it. We are allowed to keep things like that, or else his employer just has to throw it away anyway. I'm going to package it in smaller containers and put it in (somehow make it fit in) my pantry. I've been trying to find info on the web for what to do with it. There are conflicting opinions on if it's good to bake with. Some say it makes cookies and cakes more dry and doesn't work well. I was thinking we could use it to sweeten tea and coffee. My husband isn't sure he would want it in his iced sweet tea. He's used to the granulated white sugar, and he tasted this raw sugar and says it tastes faintly of molasses. Any ideas? I also have 18 8 ounce packages of cream cheese...down from 36...dated 12/14/16. I've been using as much as I can, but I'm starting to get concerned about the date. Again, there is conflicting info on the web, but have you had luck keeping cream cheese in the refrigerator past the date. I don't think freezing is recommended. It seems like you may have blogged about this topic before, but I can't find it. Maybe you know where I can find your previous post? Freeze the cream cheese. 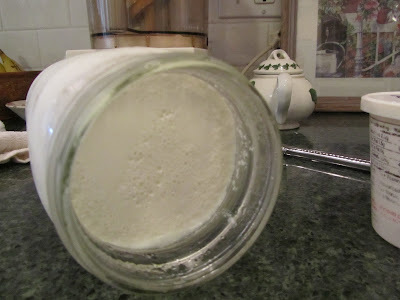 It does fine in the freezer, then can be pulled out to use in any capacity, as a spread or in baking. I do it all the time. When thawing, it does weep a bit, but not enough to matter. With the raw sugar, I'd try it out, half and half with white sugar in a batch of muffins, to check. It's worth a try. I would also think it would be good in non-dry things, like pudding. I'd bet it would make great butterscotch pudding, if it tastes a bit like molasses. Also, use it in granola. Anything you might use brown sugar in, I'd try it in that. Personally, I'd like it in coffee, as I like blackstrap molasses in coffee. Your husband might just get used to the taste, especially if he uses it half and half to begin with. Good luck with this, Angie. Have a great day! Lili, that's wonderful that I can freeze the cream cheese! I'm so happy about this. I can extend my Christmas/New Year cheese ball making. My husband also loves the no bake 'cheesecake' that is made with cream cheese, sweetened condensed milk, and lemon juice. Hmmm...now I can make my own sweetened condensed milk when I make his cheesecakes, thanks to your post yesterday! Thanks so much for the tips about trying the raw sugar! I think I'll take your advice and try muffins with a half and half mix with white sugar. I also think I'll try banana since it's so moist. Maybe I can use it in fruit and pumpkin pie also. I'll definitely use it in my coffee and hot tea. I think I'll use it in my husband's sweet iced tea also. I'll start with a quarter of the raw sugar and see if he notices a difference, and maybe work up to half. I hate to waste it. You have nothing to lose with the raw sugar, trying it in small amounts. My guess is that in many recipes it won't even be detected, especially if used half and half. Another possibility with it is homemade pancake syrup. What a windfall, if you can this work out for you. Have a lovely evening, Angie! Yes, homemade pancake syrup...I hadn't thought of that either. Thanks. We are blessed with a lot of free food from my husband's new job. That's where the cream cheese came from also. The company is very generous with having their drivers keep or donate things like that. That's where the cream cheese came from also. Most times, we donate a portion to church, as they help feed 14 needy families in the community. For donating, it needs to be individually packaged with a good date. Things that are close to the date, or even a little past we will keep if we can use it, and share with family if we can't use it all. I guess it's a bonus of the job. What a nice perk, instead of throwing food out! I was one of those thoughtless people who threw away canned pineapple liquids....shame, shame. However, today I would not do this anymore, after becoming a loyal follower of your blog. Now I look at EVERYTHING twice before I throw away. I think the thing is, until you realize that something has value, it just doesn't register to use it. And that's what the liquids from canned fruits/veggies are to most folks, something they never knew had possibilities. I was staying with a friend's aunt several years ago, and she took me to task for dumping canned fruit juice down the drain, as she liked to use it as part of the liquid in jello. It was basically sugar water, so in my mind it wasn't worth saving, but she had different ideas! Using the liquid from canned fruit in jello is a great one, especially if making from scratch with unflavored gelatin. Then the fruit liquid could serve as part of the sugar in a recipe. I'll have to remember that. yes, the sacrifices we make for our children! I'm now very much in the mood for some pineapple juice. I may have to open another can! Have a great evening, Kris! Great way to save money. I can't imagine throwing the juice away. I know! To us, we look at the can of pineapple as fruit and juice. But I think a lot of folks see fruit and this unknown liquid. 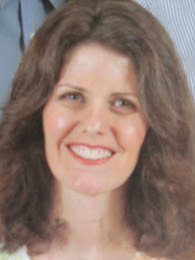 I hope you're having a wonderful evening, Belinda!